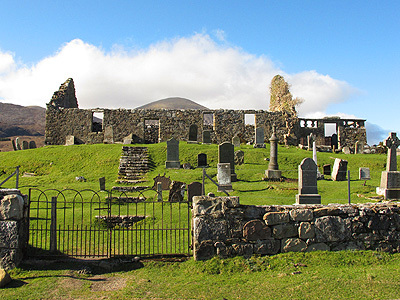 Skye & Lochalsh has many ancient and cultural attractions, where visitors can spend a few hours or an entire day! While delving into the often violent and turbulent past of this wild and harsh land, visitors can discover a deeper beauty, where nature has softened what was once hard & unforgiving and gifts it to us, within the most stunning of scenery - a land of extremes indeed! 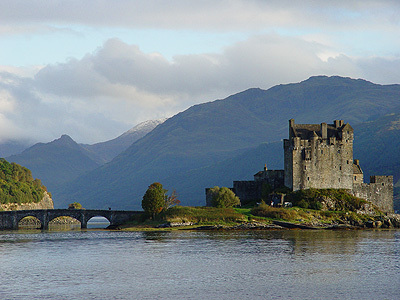 Eilean Donan Castle is one of the most romantic Scottish castles and is probably one of the most photographed, dating back to the thirteenth century. After being destroyed by English warships in 1719 it was reconstructed as a three storey keep and has been used in various films, most notably Highlander, James Bond’s The World is Not Enough and more recently Entrapment. It is now a museum and is well worth a visit, with its large Gift Shop and restaurant. 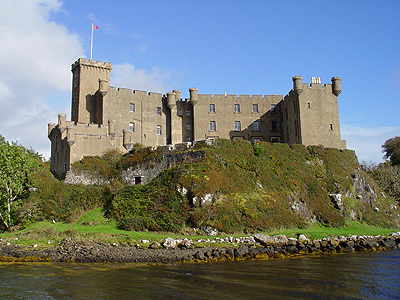 Dunvegan Castle remains the ancestral home to the 30th MacLeod Clan Chief. 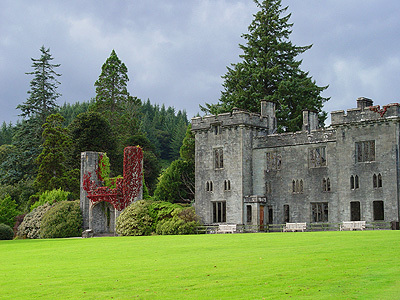 While in the Castle spend time reading up on MacLeod history and get a feel for how a clan chief and his household really lived, then why not enjoy the gardens before maybe taking a boat trip out to the Dunvegan Seal colony. After all this you can grab a meal at MacLeod’s Tables Restaurant just by the car park and check out the Castle Craft Shops. The ruins of Castle Moil (Clan MacKinnon), guards the entrance to Kyleakin harbour and has done so since Viking times, with the original castle probably being built around 900 AD, while the current structure is thought to have been constructed in the late 15th/early 16th century. In 1513, a meeting of chiefs was held here and they agreed to support Donald MacDonald as Lord of the Isles. The last occupant of the castle was Neill MacKinnon, nephew of the 26th chief of the clan (c. 1601). Duntulm Castle ruins are at the far north of the island and the views from this castle are fantastic, with opportunity to spot some migrating cetaceans as they pass the island during the warmer months. 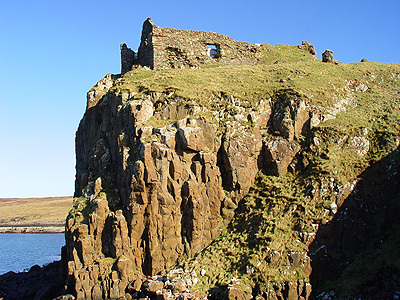 The castle is MacDonald and was deserted in 1732, at which point it was left to ruin. 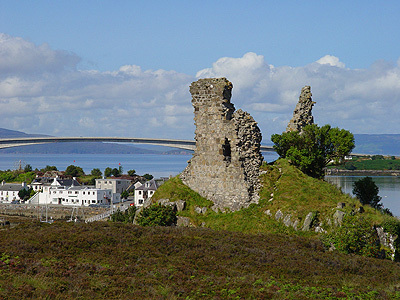 Legend has it that the castle was actually abandoned when the chieftain's baby son was dropped by the nursemaid from the castle and dashed on the rocks beneath - the tragic tale is told on a plaque within the ruins. 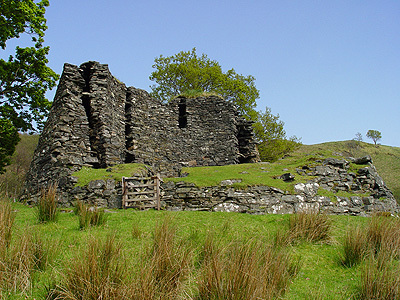 The Glenelg Brochs are some of the most well preserved examples of Iron Age fortified buildings and are well worth a visit if you want to take a real step back in time - probably about 2000 years to be precise! They can be found just south of Glenelg village and if you are an ancient ruin fan, then there are many others hidden around the area, just look out for names like Dun Beag and Dun Ringill - many get mentions on sign posts and most can be found on the Tourist Ordnance Survey maps. 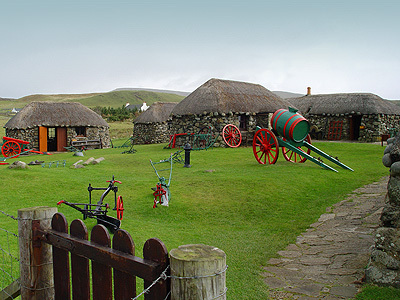 The Skye Museum of Island Life at Kilmuir, on the Trotternish Peninsula, was opened in 1965. The aim was to preserve a township of thatched cottages, each one depicting, as closely as possible, the conditions prevailing on the island at the close of the nineteenth century. By present-day standards the old Highland house was basic and crude but nevertheless, it was adequate in its own day and gave shelter and warmth to men and women who spent most of their time out of doors and cared little about worldly possessions or domestic luxury. It really is a truly fascinating and unique museum, with original photos and documents on display. You can also go to the cemetery where Flora MacDonald and her husband are buried - you can see the Memorial Celtic Headstone from the museum. Cill Chriosd (Christ's Church) is a ruined former parish church of Strathaird. It was constructed around the 16th century, replacing an earlier Medieval church at the same location, and was used until 1840 when the church was relocated to Broadford. It lies half way down the Broadford to Elgol road and was a MacKinnon Clan church. Along with Broadford, it served the cleared villages of Boreraig and Susinish, which can still be visited on a beautiful, though substantial walk from this roadside. This location is thought to have a heritage of Christian worship dating back to the 7th century. The church, with its surroundings, are a photographers dream and there is certainly a "feeling" one gets while walking amongst the gravestones, which words don't adequately describe.